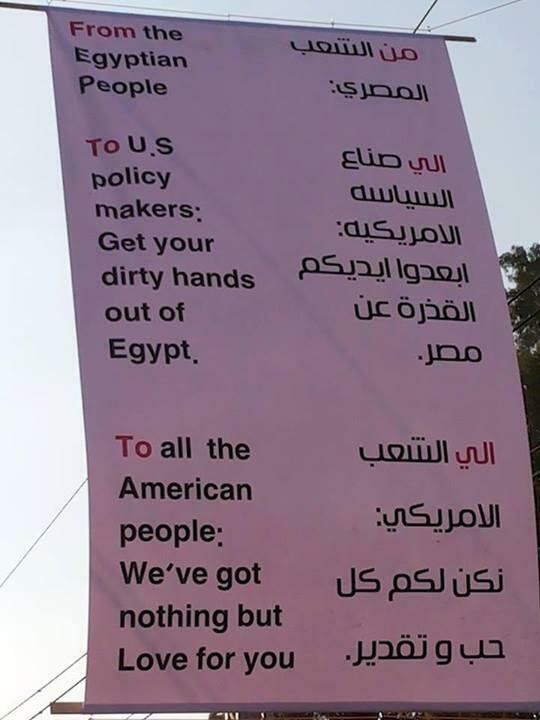 The Obama administration is "reprogramming" some funds to Egypt while a review is underway - in effect, temporarily holding up some military aid to the country, a U.S. official said. A spokesman for Senator Patrick Leahy, David Carle, confirmed to CNN his office has been told the aid has been halted. The Vermont Democrat is chairman of the Appropriations State and Foreign Operations Subcommittee. But the U.S. official emphasized no decision has been made to permanently halt the aid. 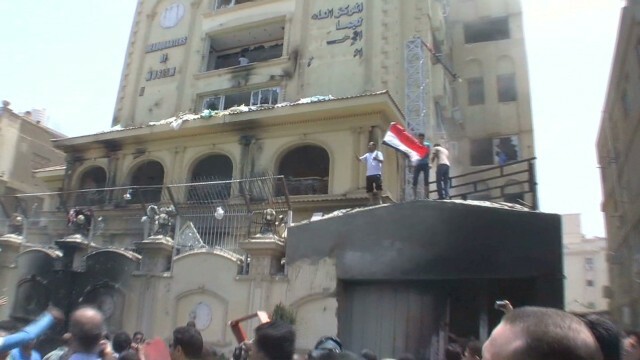 The Muslim Brotherhood has called for continued protests Monday as authorities remain determined to derail their plans. But a spate of fresh violence is compounding Egypt's turmoil, including the deaths of 36 Muslim Brotherhood prisoners and an attack that left 25 Egyptian soldiers dead. Suspected militants armed with rocket-propelled grenades killed at least 25 Egyptian soldiers in the border city of Rafah, state-run Nile TV reported Monday. The assailants struck two buses carrying security forces in the Sinai Peninsula. At least two other solders were injured, Nile TV said. Sinai Peninsula is a lawless area that has been the site of frequent attacks even before Egypt's latest round of turmoil. 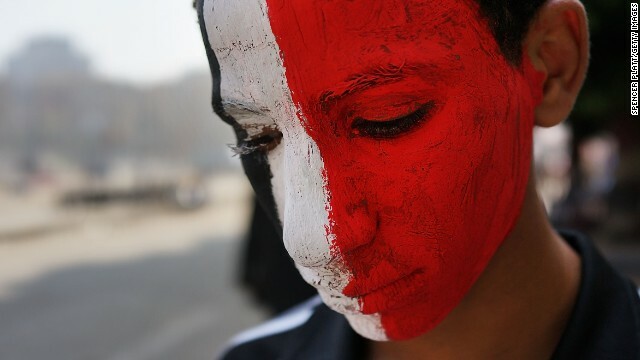 Egypt's interim government implored the global community to listen to its side after days of deadly violence across the country. Members of the foreign ministry showed a video-and-photo montage Sunday of recent carnage, blaming terrorists for the chaos. 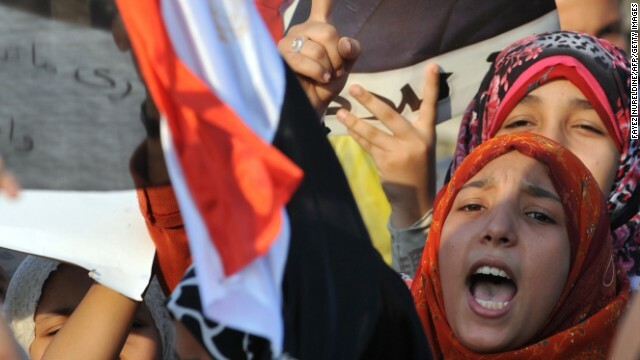 The foreign ministry also lambasted international media, saying outlets have been sympathetic to protesters who support ousted President Mohamed Morsy and the Muslim Brotherhood. But supporters of Morsy have said Egyptian security forces instigated the violence that has killed hundreds in recent days, starting with a dawn raid at two pro-Morsy protest camps last week. The bloody impasse between those who want Morsy back in power and the country's military-backed interim government could get uglier Sunday. When Egypt's first democratically elected president was tossed out earlier this year, the White House stopped short of calling it a coup. Doing so would force an end to the $1.3 billion that the U.S. sends in military aid every year - and change the course of its relationship with one of its strongest Arab allies in the region. But that was before Wednesday when the military-led interim government stormed two camps full of former President Mohamed Morsy's supporters. 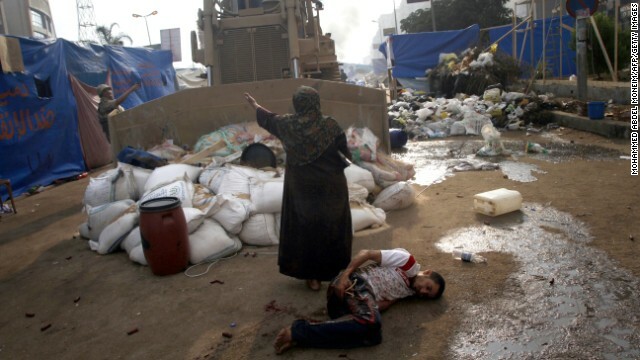 More than 300 people were killed and close to 3,000 wounded in the bloodiest day in Egypt's recent history. 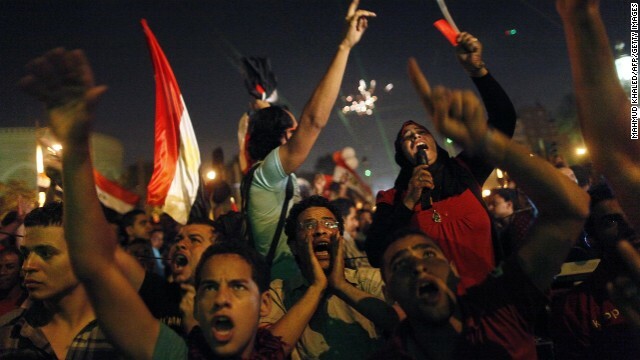 Will the carnage in Egypt change the U.S. policy toward the most populous Arab country? Military raids on protest camps and vicious battles that followed left scores dead Wednesday in Cairo, starting a new turn in the tumultuous cycle that has rocked Egypt for more than two years. Clashes between Egyptian security forces and supporters of ousted President Mohamed Morsy made it the country's bloodiest single day since the 2011 revolution that ousted the previous president, longtime strongman Hosni Mubarak. "It's an open war," said one protester who managed to escape one of the two protest camps. At least 149 people were killed and more than 1,400 were wounded, state TV reported. Interim Interior Minister Gen. Mohammed Ibrahim said later Wednesday that 43 police officers had died in the violence. Now that Ramadan and the Muslim festival of Eid are over, staunch supporters of ousted Egyptian President Mohamed Morsy are on edge. 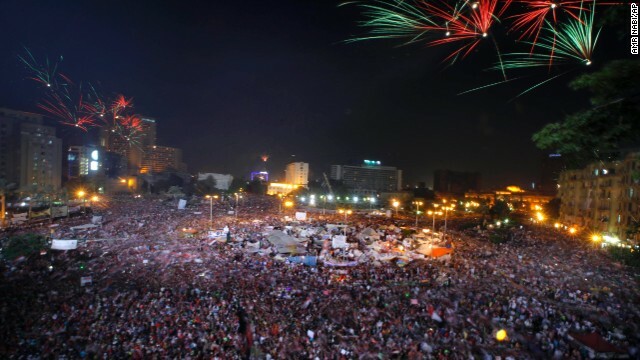 Thousands have camped out in the streets of Cairo for more than a month, refusing to budge until Egypt's first democratically elected president is reinstated. But the possibility of a fierce crackdown looms. On Sunday, when asked about a possible dispersal, an interior ministry source said "all options are on the table," the state-run Ahram Online news site reported. The source added that security forces have beefed up their presence recently near the demonstrations. 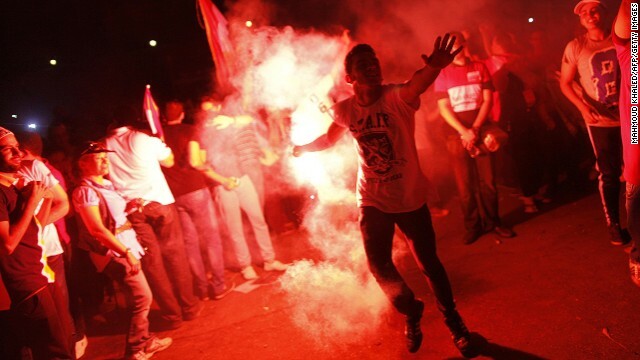 Morsy supporters rally this week in Cairo. 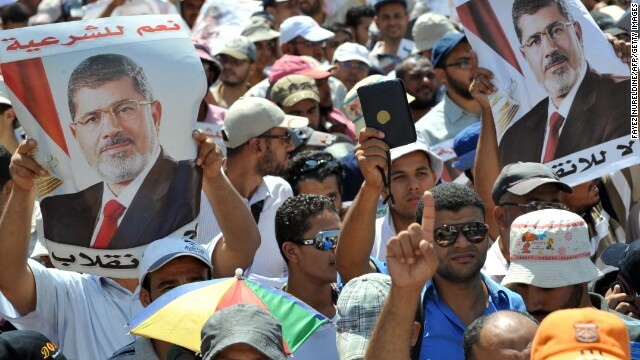 A group supporting deposed Egyptian President Mohamed Morsy have called for a million-man march from 33 different mosques Friday following noon prayers under the banner of "Egypt against the coup," according to a statement released Thursday by the Anti-Coup Prodemocracy Alliance. They also called on "all free people in all countries of the world to demonstrate peacefully" in support of their marches, according to the statement. Just don't call it a coup. Appearing to throw its weight behind an opposition that swarmed Cairo's Tahrir Square, the Egyptian military told the country's civilian government it has until Wednesday evening to "meet the demands of the people" or it will step in to restore order. In a statement carried nationwide on radio and television, the military called the 48-hour ultimatum "a final chance to shoulder the burden of a historic moment in our country." But a military spokesman said late Monday that the culture of the armed forces - which dominated the country for decades - "doesn't allow it to adopt the policy of military coups." The statement was meant to push all factions toward quick solutions and a national consensus, and the armed forces aren't looking to be part of the political or ruling circles, the spokesman, Col. Ahmed Ali, said in written statement. 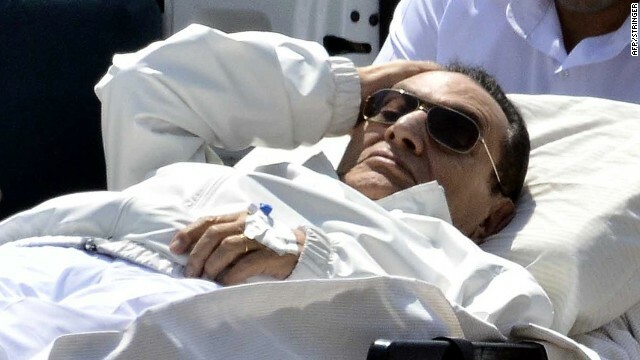 Ousted Egyptian president Hosni Mubarak is wheeled out of an ambulance following a hearing in Cairo on Saturday. Former Egyptian President Hosni Mubarak will remain behind bars, even though he won an appeal in which he asked to be released while awaiting a retrial, Egyptian state-run media said Monday. An appeals court granted his appeal Monday, technically freeing him in the case involving the killing of nonviolent protesters during the 2011 uprising that brought him down. But that action was made moot when the court also ordered that he remain detained in connection with newer corruption charges that were added to the older allegations, state media said. State media confirmed the court's orders Monday afternoon, after conflicting reports from state media and the country's Information Ministry about whether the orders were made. 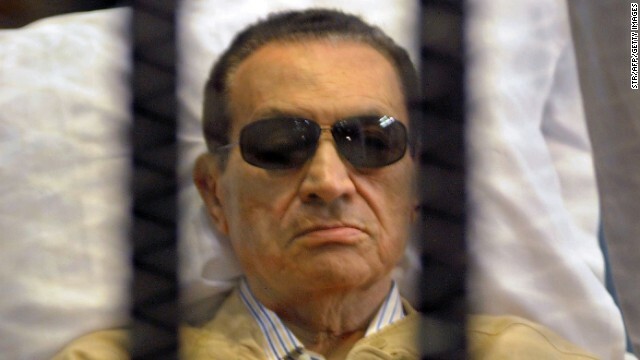 Former Egyptian President Hosni Mubarak, his two sons and his former interior minister will be retried April 13, Egypt's state-run news agency Mena said Sunday. Mubarak is serving a life sentence for his role in the killings of peaceful protesters during the revolution that eventually deposed him. It could take a while to learn the cause of a hot air balloon explosion that killed 19 people in Egypt this week. An official investigation into Tuesday's accident - the world's deadliest hot air balloon accident in at least 20 years - could take two weeks, the governor of Luxor province said Wednesday. Preliminary investigations confirmed no foul play was involved when gas canisters aboard the balloon exploded, causing it to plummet about 1,000 feet (300 meters) to the ground, Gov. 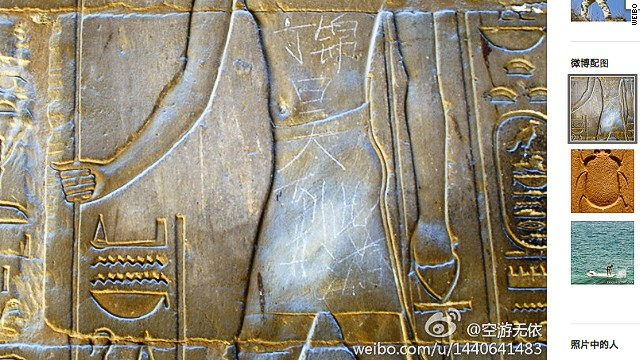 Ezzat Saad said. [Updated at 2:05 p.m. ET] The death toll has climbed to 19, officials say. [Updated at 6:57 a.m. ET] The death toll in Tuesday's hot air balloon explosion in Egypt - the world's deadliest hot air balloon accident in at least 20 years - has risen to 18, according to the state-run MENA news agency. Twenty-one people, many of them tourists, were in the balloon when it dropped about 300 meters (almost 1,000 feet) in the city of Luxor, the Egyptian interior ministry said. [Posted at 1:57 a.m. ET] Fourteen tourists on a hot air balloon ride in southern Egypt were killed Tuesday when the balloon exploded and plummeted to the ground, authorities said. It was the deadliest hot air balloon accident in the world in at least 20 years.